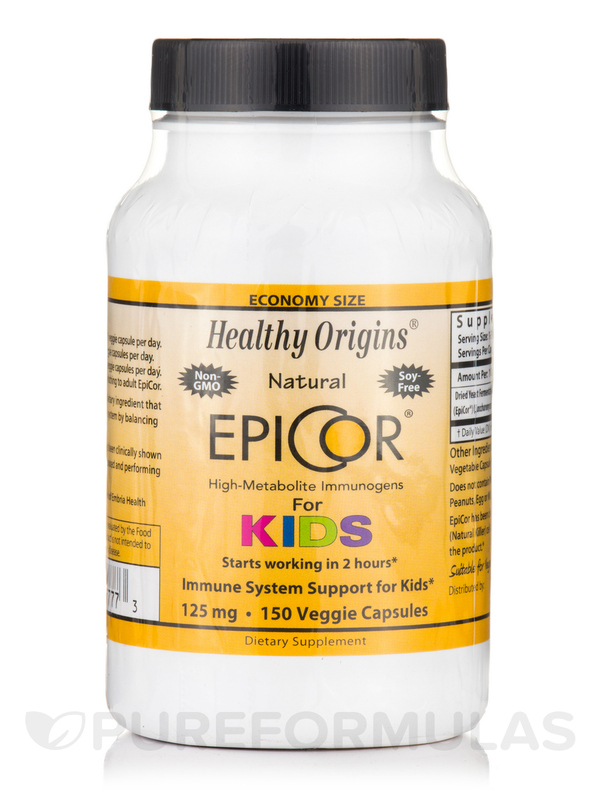 EpiCor for Kids by Healthy Origins is great for younger children not needing the adult dose. We love this for the winter months. Does a great job at keeping the children well. If you are looking for a strong shield that could prevent your kids from falling ill often‚ get EpiCor® for Kids Capsules from Healthy Origins®. This natural dietary supplement might strengthen your kids’ immune system. It may augment a healthy immune response in their bodies. Children are prone to infectious conditions and bacteria during school and play. Putting them on this supplement from Healthy Origins® might activate natural killer (NK) cells in their immune system. These cells may ward off pathogens and keep the young ones healthy and strong. These tablets contain dried yeast fermentate‚ which may introduce a variety of healthy flora into your kid’s digestive tract. The immune cells usually encounter invading pathogens in the digestive tract. When your kids have a healthy digestive system and strong immunity‚ infections may fail to touch them. 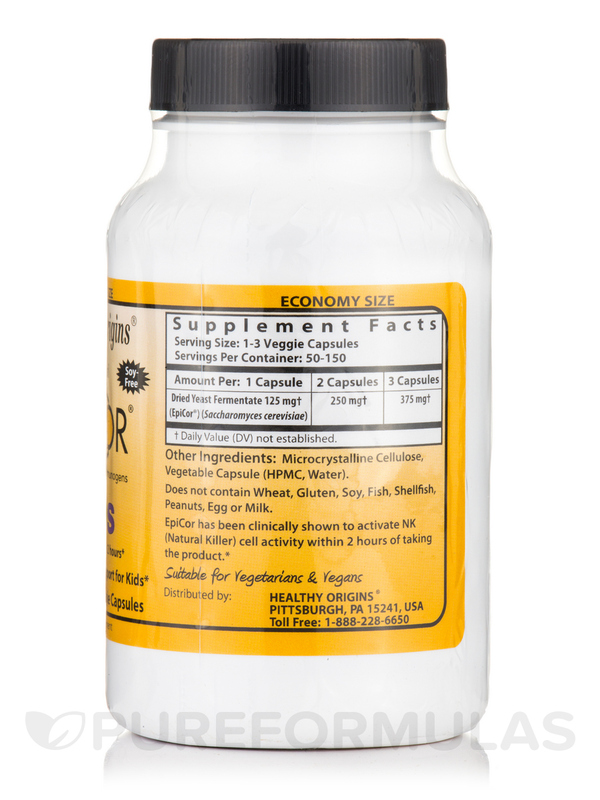 Saccharomyces cerevisiae‚ the dried yeast ingredient in this supplement might cover a diverse range of infections. They may come handy in maximizing your kid’s immunity power. 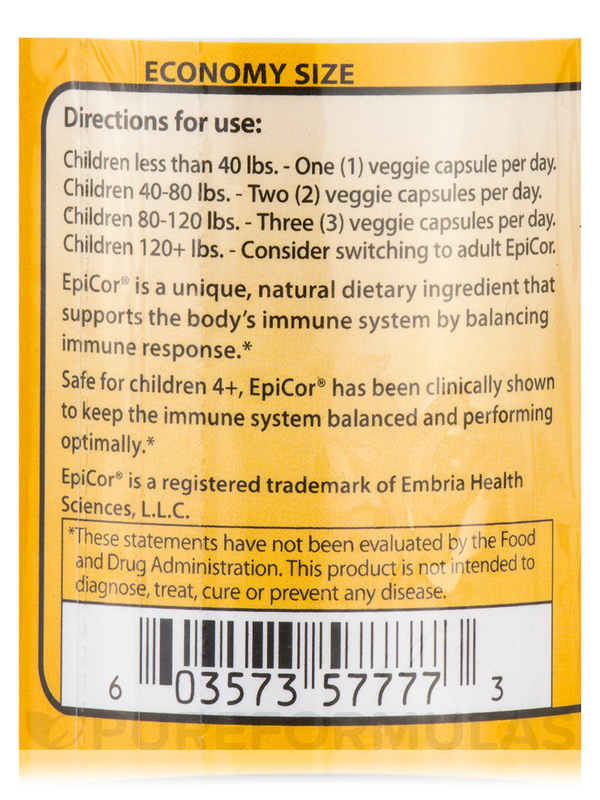 When you have EpiCor® for Kids Capsules from Healthy Origins® in your medicine closet‚ you don’t need to worry about your child catching an infection. Other Ingredients: Microcrystalline cellulose‚ vegetable capsule (HPMC‚ water). Does not contain wheat‚ gluten‚ soy‚ fish‚ shellfish‚ peanuts‚ egg or milk. Children less than 40 lbs - One (1) veggie capsule per day. 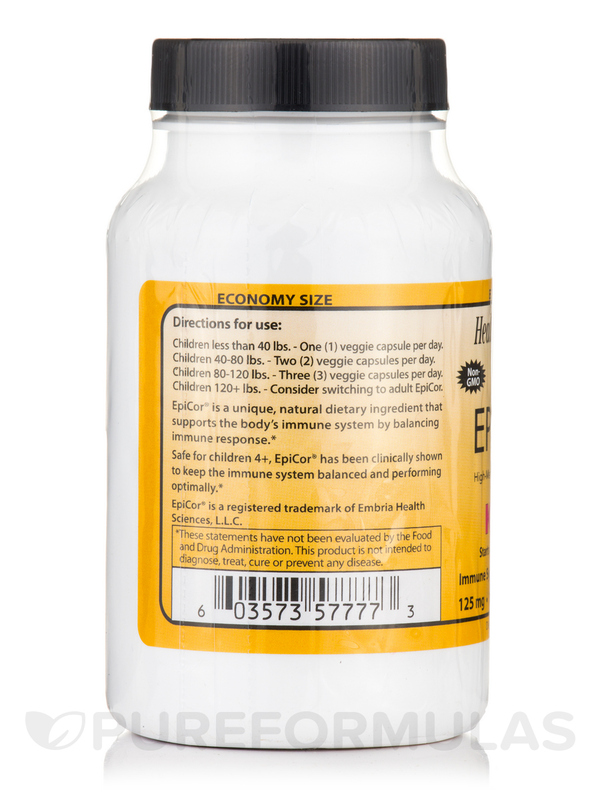 Children 40-80 lbs - Two (2) veggie capsules per day. 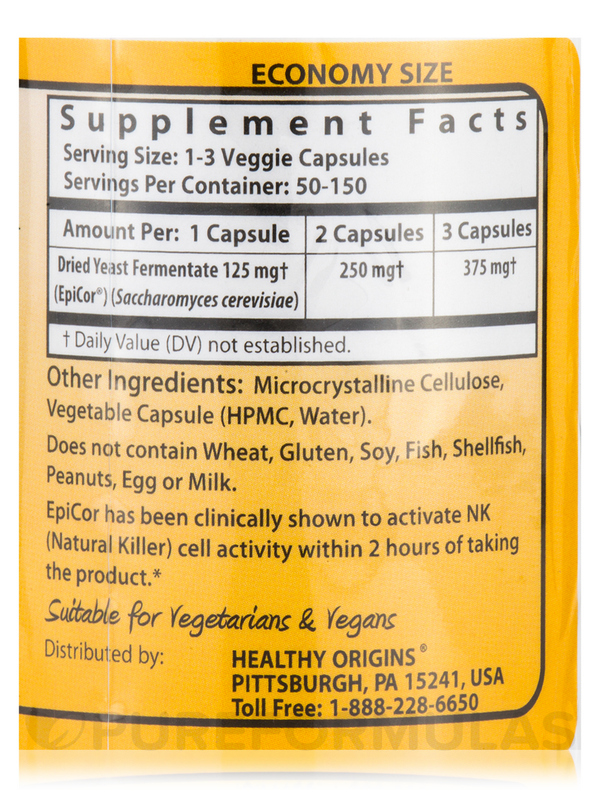 Children 80-120 lbs - Three (3) veggie capsules per day. Children 120+ lbs - Consider switching to adult EpiCor.